Has the time come for change in Christchurch? And so the Super Rugby semi-finalists are set, with no-one outside the top six able to work their way into the play-offs in the final regular-season round for the first time in the competition's conference history. That scenario also ends the amazing semi-final run of the Crusaders, the seven-time Super Rugby champions having featured in every post-season back to and including 2002; this year's play-offs are unlikely to feel the same without them. The Crusaders go hand in hand with the play-offs; they're a bit like turkey at Christmas. You expect it to be there, and to sit down to dinner without it just doesn't feel right - even if you're not a fan. The Crusaders have tested fans' nerves throughout that 12-year run but, just like the discussion about a possible switch to seafood for the festive season, their late flurry has always previously seen them surge into the play-offs and take their place at the finals table. But there'll be no meat sweats this year, and perhaps the time for change has come. 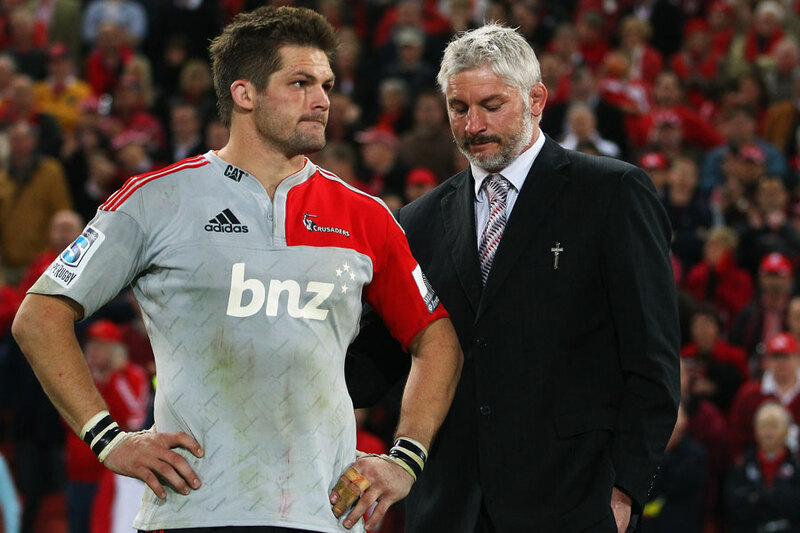 Todd Blackadder took over from Robbie Deans as Crusaders coach after the 2008 Super 14 triumph - the Crusaders' last title - and has failed to add to the Canterbury' side's trophy cabinet. There were close defeats in the 2011 and 2014 grand finals, and a couple of thrillers in back-to-back semi-finals defeats by the Chiefs; but still no trophy. Their failure to advance beyond Round 18 this year must surely put Blackadder under pressure. In fairness to the former All Blacks skipper, he has had to deal with New Zealand Rugby-enforced rest weeks for many of his first-choice players, while Israel Dagg has barely been sighted at all. But that's no different to what the other New Zealand franchises have had to deal with and yet three of them will live to fight another week. Change is already coming at the Crusaders, with All Blacks greats Dan Carter and Richie McCaw moving on and playmakers Colin Slade and Tom Taylor both heading to Europe. Super Rugby, too, is changing, with the competition expanding to 18 teams next year as a sixth South African side and teams from Argentina and Japan are added to the competition. The Crusaders looked to have at last found a replacement for their departing first-five trio with former Waratahs utility Ben Volavola set to join the franchise, pending a green light from New Zealand Rugby. Young Christchurch product Richie Mo'unga is also an option. They might be better guided by a new coach. There are plenty of coaching alternatives in New Zealand including assistant Tabai Matson, whom the Crusaders moved to keep on their books just as the Blues were rumoured to be circling midway through this season. Kieran Keane, the successful Tasman coach, could be an option; although he has been entrenched in the Chiefs' inner sanctum throughout 2015. Former Crusaders No.8 Scott Robertson is the current coach of Canterbury's ITM Cup side, and looms as a potential successor when Blackadder's time is up. There is also the not-so-small fact that Super Rugby coaches are contracted to New Zealand Rugby, and thus the national board too would have to be consulted on Blackadder's future. Should Blackadder continue to coach the Crusaders, as is expected, then a repeat of this year's failures in 2016 may not be treated so lightly. As for this year's play-offs, don't be surprised if you're left feeling a little bit dissatisfied - Christmas just isn't the same sans turkey, no matter how much you like the seafood.